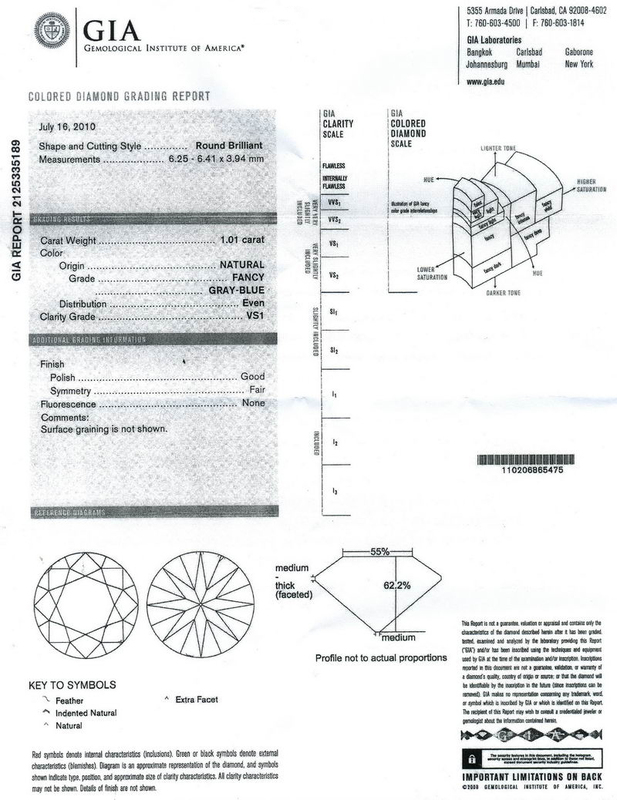 Imagine the stressful situation of a cutter in possession of a relatively tiny piece of diamond rough necessary to produce this stone . A mistake, or accident can wreak a total loss. Bad judgment can decimate the value of the resultant stone. On the other hand, make the right choices, and you'll have a museum quality gem. When I first saw the stone, before I saw the GIA report, I thought they would call it an "Old Mine Brilliant." In fact, it's been categorized 'Round Brilliant"- but you'd be totally reminded of an Old Mine Cut, if you saw the stone. 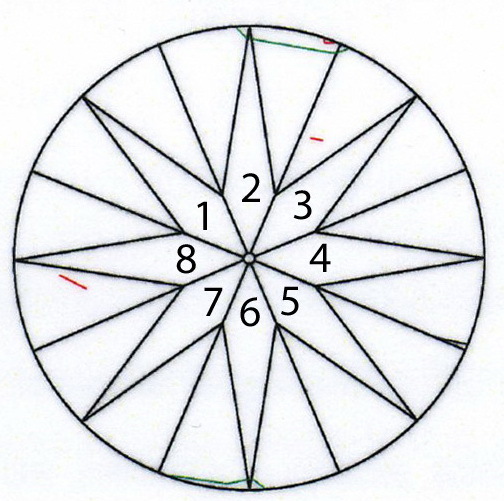 The reason is the pavilion mains facets ( numbered 1-8 in the diagram below). It has shorter lower halves than a modern round brilliant. 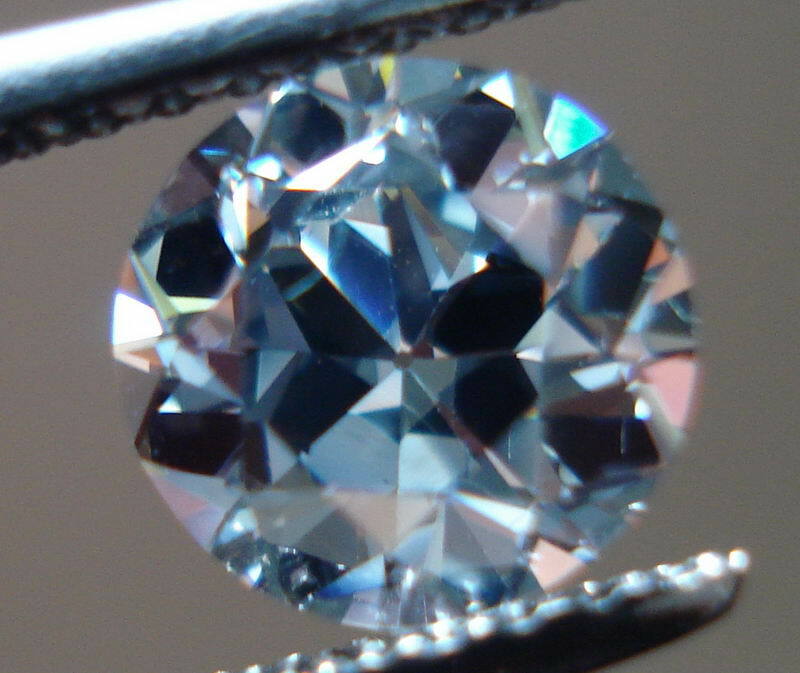 Other have commented the stone reminded them of a transitional cut. 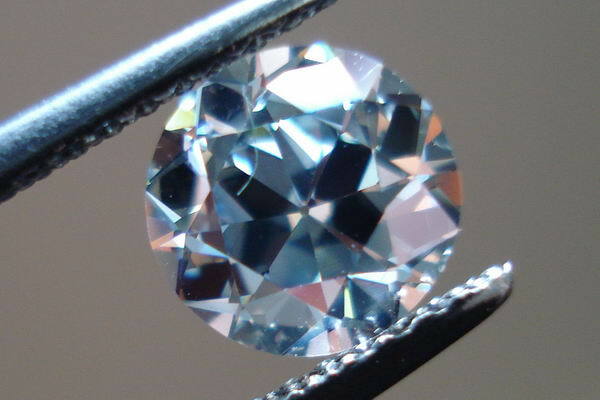 Round stones of this color are so super rare- it's difficult to achieve this broadcast of blue- especially in a round. 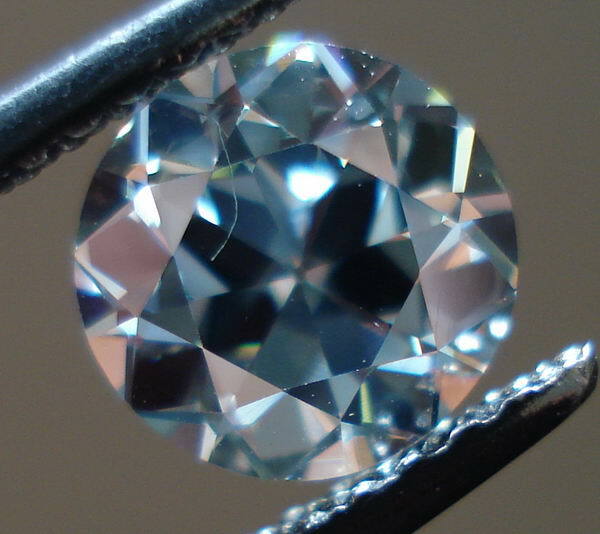 But this modification makes a HUGE different in the perceived color- GIA graded the color "Even"- another great aspect to this incredibly rare precious diamond. The stone has a lot of pinfire flashes- mixed with some chunky blue stuff going on in the center. As it turned out, this cutter, who is one of the world's largest in high end fancy colors, made exactly the right choices in cutting. The cut goes perfectly with the color. The VS1 clarity is another plus- very clean diamond (sorry about the eyelash- I'll get more photos soon). In terms of the price- it's hard to gauge market value on something so rare. 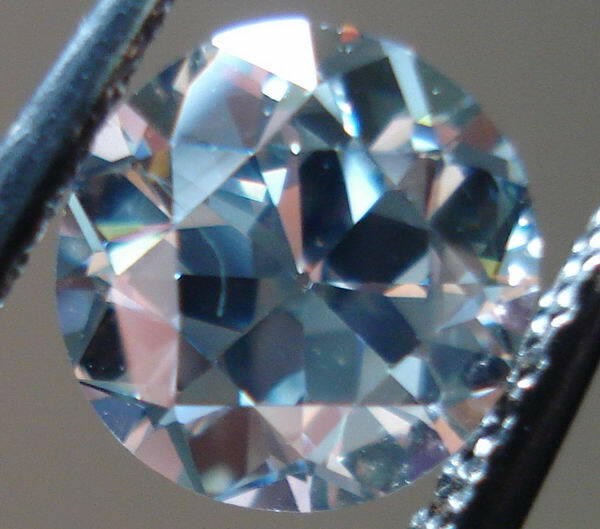 The actual look of the diamond has a large impact on the value ultimately. 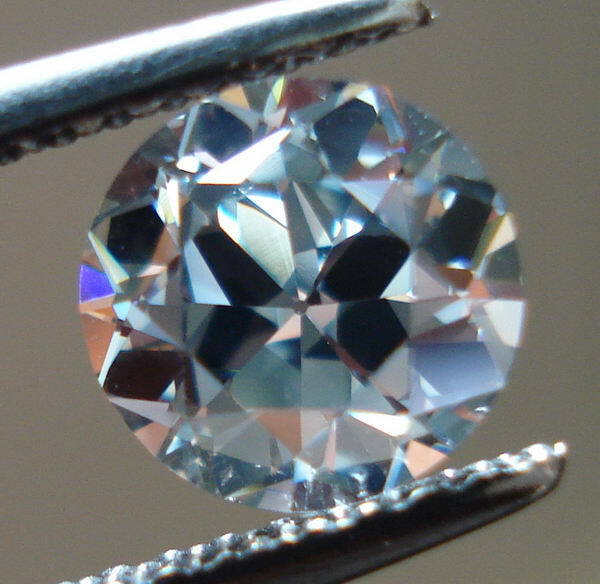 This is a fairly sizeable stone looks it's weight of one carat- clearly blue. If it was Fancy Blue ( without the gray modifier) it might be another $75K- or another $150K. 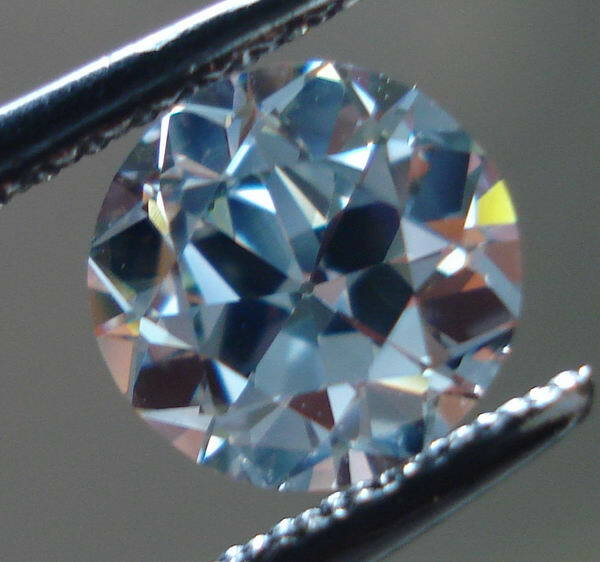 Fancy Intense Blue, in this cut, could easily be half a mil. I've never seen another quite like it.